If you thought Danny Boyle’s opening ceremonies for the Olympic Games weren’t going to be off the chain, well you were wrong. In what seemed to be a never ending pastiche of everything British, there were many standout moments. Tim Berners-Lee live-Tweeting from the center of the arena, Mr. Bean playing Chariots of Fire with the help of a cell phone…but this one has to take the cake. 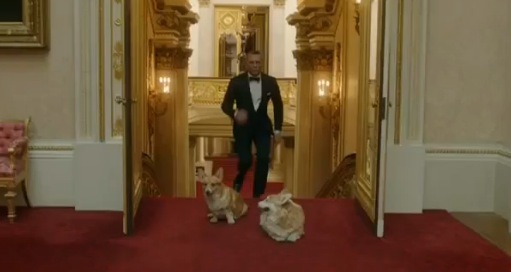 Watch as MI-6 super-spy James Bond himself escorts The Queen to the games personally…and yes, the royal Corgis have a speaking part.